Working out and getting the exercise that you need has never been easier. By incorporating into your home a space designated for exercise, you can get your work out right in the comfort of your home. However, the difficulty of creating a home work out area usually is attributed to choosing the right equipment for the results that you are looking for. For those that are looking for an elliptical, you’ll find that there are dozens on the market. To make your decision easier, here is a product review of the Proform 14.0 CE Elliptical, which ranks fairly well among active individuals. This elliptical made it to our top picks for the Best Elliptical Machines of the year. The Proform Elliptical strive to make working out easier in the convenience of your own home. With this product, you’ll be able to enjoy an array of workouts that are brought to you by Google Maps and Jillian Michael’s own training sessions. The fitness programs on the elliptical are highly customizable to suit your pace, you can download different workout types, and even have access to an online profile that allows you to track your progress and set small and large goals for yourself. In addition, the workings of this machine are also of high quality so you can get the workout you need for both your lower and upper body. The product was released on the market in 2014. Currently, it is being sold on Amazon for 699.99. One of the greatest features of this product is that it is highly technologically advanced. This machine utilizes what is known as the “iFit.” This technology is what allows this machine to operate your workouts using a WIFI connection. Therefore, as you work out, all the workouts that you need are just a click away. In addition to the iFit’s WIFI feature, the program is also what accounts for the compatible music port for your iPod so you can work out to your own beats. Apart from the iFit, the elliptical also features an intermix acoustics 2.0 sound system, which allows you to listen to music while you work out without bothering with pesky headphones. This also makes for a much safer and ideal workout experience. Lastly, when you exercise, you certainly do not want to find yourself squinting at the screen. Luckily, this product comes with and 5″ backlit display, making following your workout and timer easy and clear to read. The display features things like your speed, time, distance, pulse, resistance, and the amount of calories burned. Another great feature of this product is that it gets all of the best target areas. To begin with, the product features a Power Intensity Ramp that allows you to change the incline whenever you need. The incline can be set at 10, 15, 20, or 25 degrees. Next, there is the stride feature of the product. Using the product is extremely easy, as the strides are a total of 18 inches, which allow you to develop lean muscles easily. The stride pedals are also very cushioned and comfortable to use. The last two workout features are the 14 Quick Resistance Levels and the Upper Body Workout with Soft Grips. To begin with, there are 14 different resistance levels that you can choose from so you can challenge yourself and change the difficulty as you advance with this product. Furthermore, rather than being a simply lower body workout machine that focuses on your gluteus, thighs, and so forth, this machine also features an upper body workout that allows you to burn more calories and add muscle. During a workout, keeping track of your heart rate is important because it allows you to track both the intensity of your workout and how hard you are pushing yourself. To make things easier for you during your workout, the machine features an EKG heart rate monitor so you can easily keep track of what you need to. The ultimate point of discomfort during a workout is when you find yourself overheated and sweating profusely. To make things more comfortable for you and to increase your enjoyment during the workout, the machine features a workout fan so you can keep cool throughout your exercises. Lastly, having a workout machine in your home isn’t always the most convenient thing. To combat this issue, this elliptical has a space saver design. The petals are innovative, as they are able to fold with the base of the product. This saves you 3 feet of floor space so the machine doesn’t get in your way. The wheels on the bottom that can be unlocked also make the machine easy to move without strain and pain. Not only does it save space, but it weighs 223 pounds, it is made out of commercial-gauge solid steel, and it measures 79 4/5 x 27 x 66 1/5″. While this product is strong in most areas, it does have a few drawbacks. To begin with, while the product does feature iFit technology, membership will set you back $9.99 per month. In addition to this, the ramp does not extend past 25″, which makes it inconvenient for most individuals. The ramp and the fan can be very loud when the machine is in use, meaning that it can pose as a disturbance to your workout. Another major issue with this product is that it only has a 1 year warranty. Should anything break down or need to be fixed after one year, it is up to the owner of the product to foot the bill. While the product does not have a track record for breaking down, the warranty issue can still be a concern. Compared to other products, the 1 year warranty is actually very short. Most products will use warranties for over 1 year. 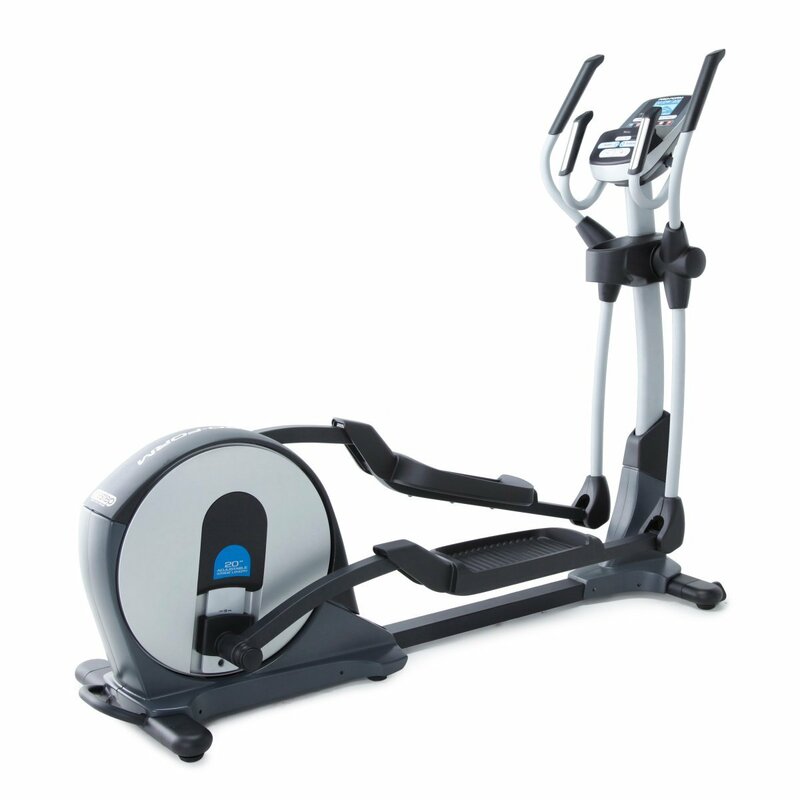 Overall, the Proform 14.0 CE Elliptical is a good product for its price range. It provides you with everything that you’ll get in a traditional gym, except that this product will be used by you only and in the comfort of your own home. Due to the technological features, the durability, space saving feature, the all-encompassing workout, the screen and workout information, and the iFit technology, this elliptical is beneficial for anyone looking to get the workout that they need with the tools that are necessary to make it happen. The price range of this product is pretty good for its features, but if you are looking for a more advanced model, you can find one on Amazon. A few suggestions that are similar but more advanced than this product are the Proform 990 CSE Elliptical or the Proform 990 RE Elliptical.